Imagine. The Look and Feel of a Brand New Home, In Less Than One Week. With years of experience in the siding industry, builders have come to trust Eagle Siding as the most reliable and dependable siding installer in the area. In fact, if you see a home with fiber cement siding, chances are Eagle Siding did the work. What's more, our work is guaranteed. Our James Hardie siding carries a 50 year warranty and you won't find a better professional installation crew. If that's not enough, our efficiency is icing on the cake. Even re-siding jobs where it's necessary to tear the old siding off, we'll complete your siding project in less than a week. 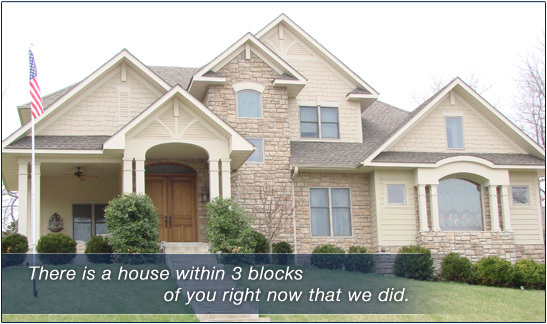 Call Eagle Siding today for a FREE in-home estimate with absolutely no obligation. View a few of the over 1,000 homes we have sided in the gallery.